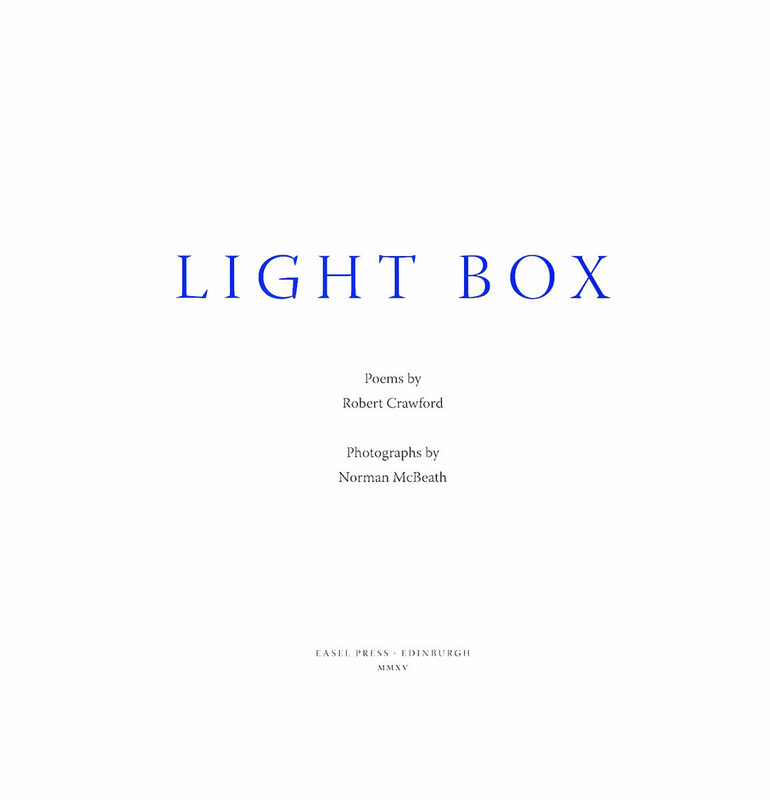 Commissioned by the University of St Andrews to celebrate the 2015 International Year of Light this collaboration between Norman McBeath and Robert Crawford celebrates light. 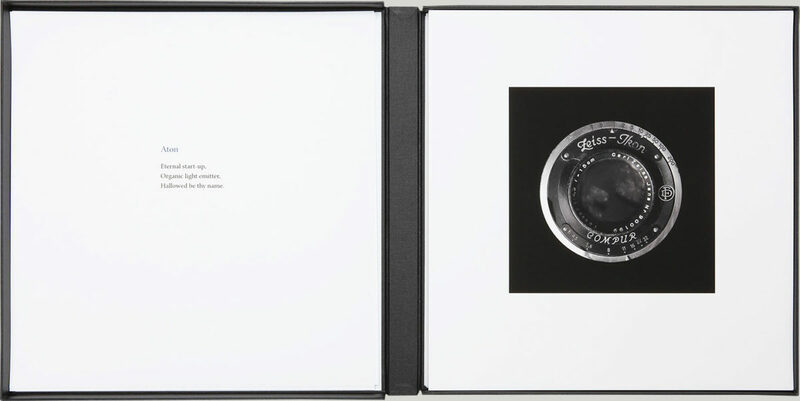 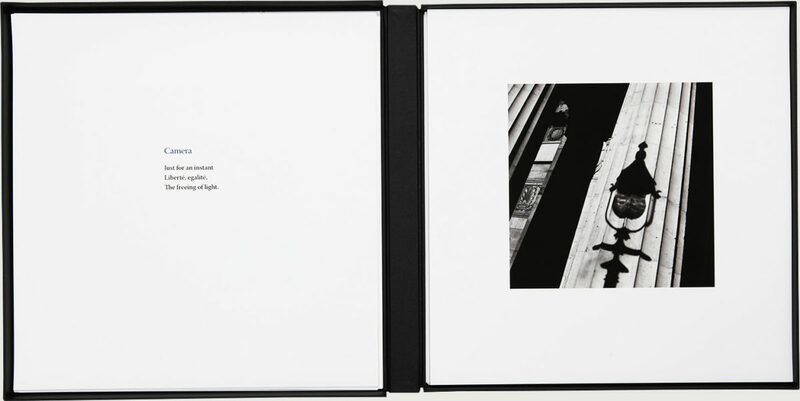 It contains ten black and white, hand-printed and editioned, photographs paired with haiku by Robert Crawford. 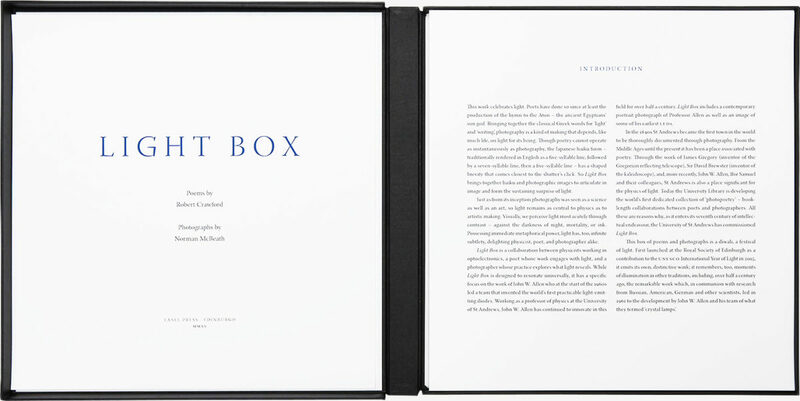 The work is produced in a limited edition of ten and is presented in a black buckram archival-quality solander box with silver gilt title. The set can be viewed here.